Today's project uses the Under The Mistletoe Designer Series Paper item #146921. This is one of the Designer Paper's on sale today! I love this paper it is so fun and pretty! Perfect for Christmas, Winter, and etc. I have a quick and fun christmas card for you! Do you need to make lots of christmas card? This layout is perfect and so simple to crank out many! My card features the Dashing Deer Bundle (W) item #149934 (C) item #149935 from the Holiday Catalog. I've added this card to my Etsy Shop too! If you would like to order a set already made please contact me for pricing and time frame. This bundle has the matching Detailed Deer Thinlits to go with it. This item has been so popular that it is one of the items that may soon sell out before the Holiday Catalog ends!! EEK If it's on your list you will want to order it soon! 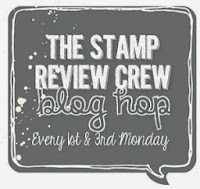 Create a 4 1/4 x 5 1/2 Shaded Spruce card base using the Stampin' Trimmer and the Simply Scored Scoring Tool. Cut 1 Old Olive card stock 4" x 5 1/4". Zip it through the Big Shot with the Corrugated Dynamic Textured Impressions Embossing Folder. Cut two different patterns of Under The Mistletoe Designer Series Paper. Adhere them to the Old Olive card stock off setting each piece. Wrap some 3/16 Braided Linen Trim around the layers in the center. Adhere the layers to the Shaded Spruce card base. Ink the stamp from Dashing Deer Stamp Set in Shaded Spruce Classic Ink and stamp onto Whisper White card stock. Zip it through the Big Shot Die Cutting Machine with the Stitched Shapes Framelits die cutting it out. Adhere the die cut with Stampin' Dimensionals to the card base. Zip a piece of Early Espresso card stock through the Big Shot Die Cutting Machine with the Detailed Deer Thinlits die cutting it out. Adhere to the Whisper White circle. Finish by adding some Red Basic Rhinestones. I kept it simple on the inside I added a piece of Old Olive and Whisper White card stock. Don't forget about my Black Friday Weekend Special!!! When you purchase one of my retired bundles get a 2nd bundle of equal or lesser value at 1/2 off!!! This includes everything on my Retired items for sale page HERE!!! Woo Hoo there are lots of RARE and AWESOME bundles you don't want to miss out on!! Here are just a few of the bundles available! Christmas Bundle Perfect and just in time for the holiday season! Valentine's Day is coming soon this would have you set for Valentines Day! Lots of greeting stamp sets in this bundle! Lot's of occasions would be covered!